Here is another coffee from Colombia. Although La Florida may have some similarities, it’s night and day between it and Etnia’s – Montañita previous blog post) and La Florida. 1) 40g bloom for 35 seconds, stir with a bamboo stirrer to get all coffee moistened. 2) 125g water in a circular flow (this includes 40g water blooming). This including 35 second blooming, your timing should be on 1 minute and 15 seconds. 3) 100g of water in a circular flow with a finish (about 10-15g) on the edge. A total brewing time of 1 minute and 45-50 seconds. 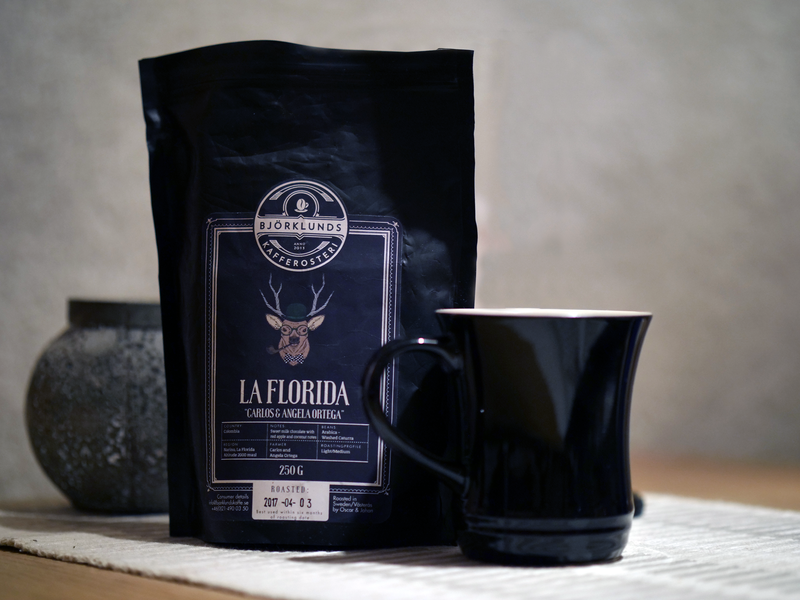 Review: A well-balanced and good coffee, this has been the best coffee I’ve tasted in 2017. The most distinct tone is the sweet chocolate, which in turn has a fantastic balance with a light acidity, an acidity similar to a sweet vinegar as soon as the coffee has cooled down.